The knowledge that is shared can produce strength. This is also true for instrumentation. Especially for our country, the construction of the instrument and instrument sharing platform has effectively promoted the R&D process of domestic instrumentation in China. The National Science and Technology Innovation Conference and the "Opinions on Deepening the Reform of the Science and Technology System and Accelerating the Construction of the National Innovation System" clearly stated that we must strengthen the openness and sharing of scientific and technological resources and promote the construction of scientific and technological infrastructure such as large scientific instruments and equipment. Instrument sharing is a concept introduced by some companies in recent years in order to save the purchase and maintenance costs of large-scale equipment and equipment. It refers to the purchase of certain instruments and equipment by a scientific research institute, enterprise or individual in a certain area. Other companies or individuals do not need to repeat purchases, but rely on government policies to borrow the equipment. This model saves a lot of money for scientific research institutes, enterprises, or individuals. At the same time, companies that purchase the equipment will also enjoy state subsidies. This shared model can fully solve the problem of idleness of the instrument on the one hand, and on the other hand it can also help some growth companies to carry out research and development work. For example, in recent years, Shandong has vigorously promoted the opening and sharing of large-scale scientific instrumentation equipment resources, and the sharing of large-scale scientific instrumentation equipment resources in the province has helped to integrate inventory resources, curb the repeated purchase of equipment and equipment, avoid waste, improve the efficiency of equipment and equipment use, and support scientific and technological innovation. Important role. Since 2006, Shandong Province has set up special incentive funds to award units and individuals that have made outstanding contributions in the opening and sharing of instrumentation equipment. As of this year, a total of 17 million yuan has been awarded for award funds, which has been supplemented by awards and small investments. Moved a large amount of resources, effectively mobilized the enthusiasm of large scientific instrumentation equipment and equipment and users to actively participate in sharing, and effectively promoted the openness and sharing of instrumentation resources. According to statistics on the performance evaluation of large-scale scientific instrumentation equipment resources sharing in 2012 in Shandong Province, the number of 76 instrument access units and 342 sets of large-scale precision instrument sets participating in the performance evaluation were 48,483 external service units in 2012, among which enterprises accounted for 57.4%; There were 539,900 service times, 20.81% for external services, 2.95 million test samples, and 34.51% for external services. The actual total use time was 973,700 hours. Up to now, a total of 4,117 sets of integrated instrumentation equipment have been integrated in the large-scale scientific instrument and equipment collaboration network in Shandong Province, with an original value of 3.461 billion yuan, of which 2,586 sets of equipment with an original value of more than 300,000 yuan and 1034 sets of large-scale precision instruments have been measured. The number of instruments that have been accredited or approved by the state key laboratories is 1999 sets, accounting for 48.55%. There are 728 member companies in the network, including 38 centrally-held Lu units, 284 provincial units, and 406 municipal units. Jiangsu's large-scale scientific instrument sharing service platform integrates 198 universities, research institutes, and testing institutions in Jiangsu Province. From the initial establishment of more than 40 units to the current more than 1,600 units (sets) of instrumentation, it covers component analysis. , Structure analysis, performance analysis and other fields, the total value of 1.08 billion yuan, all equipment and equipment are open to the entire community to share. At present, a large-scale scientific instrument sharing platform has been constructed and opened in Nanjing, Wuxi, Suzhou, Changzhou, Xuzhou, Zhenjiang, Nantong, Yangzhou, Lianyungang, and Yancheng, and 10 provincial cities have established regional cooperation networks. Five cities have established relevant management methods. Nantong and Nantong established municipal-level professional testing service centers in combination with their respective regional characteristics. The large scientific instrument sharing platform has played an increasingly important role in responding to public emergencies, cultivating emerging industries, serving grassroots organizations, and service companies through the joint construction and linkage services of provinces and cities. The Industrial Technology Research Institute of Liaoning (Dandong) Instrument and Meter Industry Base undertakes the construction and management of a instrument and equipment sharing service platform for the instrumentation industry base in Liaoning (Dandong). The shared service platform mainly targets scientific instruments and equipment, makes full use of modern information technologies, and avoids repeated purchases and waste of equipment by optimizing and configuring related resources. The operation of the platform has added an external service function to the public R&D service platform of the instrumentation industry base in Liaoning (Dandong), which has further improved its service capabilities. Through the open and sharing of resources, nurturing co-construction and co-management, continuously improving the influence of the platform, and striving to build a professional platform with information authority, comprehensive content, timely information, and enterprise trust, with regional core competitiveness and professional comprehensive strength, for Liaoning (Dandong) The Instrumentation Industry Base and the scientific and technological innovation activities in Dandong provide strong public service support. 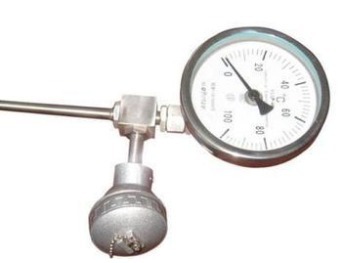 Liaoning (Dandong) Instruments and Meters Industry Base Instrument and Equipment Sharing Service Platform Since its establishment, it has absorbed advanced equipment from universities, research institutes, and instrumentation companies in the city. Currently, it has more than 200 testing instruments of various types and can provide base enterprises with Information sharing, service promotion, etc. shared by equipment and equipment. At present, the industrial base has initially formed an automatic control system and equipment as the mainstay, supplemented by special instrumentation and electronic and electrical monitoring, and a unique combination of medical and scientific detection instruments, sensors, and instrumentation components. The industrial system has unique development advantages, and the supporting capabilities of the industry are continuously enhanced. The Qingdao Municipal Science and Technology Bureau strives to promote the construction of a large scientific instrument collaboration service platform. At present, there are 61 units of shared instrument access in the city, and 2213 sets of network instruments have been used. The original value of the instrument is 1.61 billion yuan. At the same time, the Qingdao Municipal Science and Technology Bureau, together with the Bureau of Finance, issued the â€œMeasures for the Promotion of Large-scale Scientific Instruments Sharing Management by the Qingdao Science and Technology Bureauâ€, and has combed and refined various policies, and formulated the "Implementing Rules" and "Details on the Assessment of Testing Subsidies." , "Advanced measures for the sharing of large-scale instruments" and so on. The establishment and implementation of the policy system has effectively promoted the overall management level of the collaborative platform. The concept of "co-construction and sharing" has gradually deepened, and the scale of resources has continued to expand. In addition, Qingdao organizes activities such as â€œintroducing science and technology services into the parkâ€ and â€œscience and technology resource sharing to boost technological innovationâ€, in-depth areas where small and medium-sized enterprises such as science and technology parks and incubators are relatively concentrated, and promoting equipment resources for instrument collaboration service platforms, actively for enterprises and inspections. Consulting experts provide opportunities for business matching. In the first half of this year, the city organized a total of 42 service promotions and trained nearly 2,000 business personnel in all units. In fiscal year 2012, a total of 3,895 testing subsidies were accepted, and a total of 36.7 million yuan was applied for the inspection of subsidies, which was more than four times the amount in 2011; subsidies of 2.14 million yuan were provided to provide testing and consulting services for more than 400 units. While improving service functions, it actively promotes cooperation service platform cooperation with franchise organizations, conducts inspections and consultations on product issues raised by companies, and provides professional solutions. CNC Milling Machine is divided into without a knife knife library and library two categories.Among them with the sword library is also called Machining Center .So Machine center is also called CNC milling machine . After more than 50 years of development, the DAHE become domestic manufacturing machining center, the earliest batch of the largest manufacturers, is China's first batch to developed countries export machining center of enterprises.Since 1986, the dahe brand TH and V series of Vertical Machining Center export to America, Europe and other countries.Key parts of Machining center and factory precision are from the German LEITZ three coordinate measuring machine and rennie salt RENISHAW double-frequency laser interferometer strict testing.Each machining center through strict static and dynamic accuracy and reliability of the test.Static geometric accuracy contains each assembly process in strict test, reliability test of 48 disappear.Company production of vertical machining center and Horizontal Machining Center, vertical machining center is divided into machine and hard rail line rail.1. Line rail vertical machining center, high efficiency, high speed and high precision processing, can choose different specifications according to the machining parts of double spindle machining center, big torque, heavy cutting, the output torque of 500 nm.2, hard rail vertical machining center, high bearing, high rigidity, high accuracy keep hard rails series machines, base and water dish cooked into an organic whole, and sheet metal junction design of water retaining the steps, to eliminate water seepage and leakage.Even screw nut, drive good rigidity, transmission parts joint seamless design, cancel the traditional gasket design and improving connection rigidity, ensure the accuracy of stability.Design of large span herringbone column column rigidity is strong.Optional full gear main shaft transmission.